We want to wish all mothers a Happy Mother’s Day! 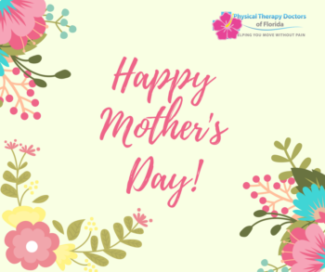 At Physical Therapy Doctors of Florida we keep the interests and concerns of mothers of all ages in mind year-round. 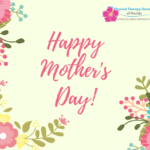 In honor of Mother’s Day, we’d like to remind our patients of how we can address any issues with women’s health in Bradenton, FL that you might have, especially if you happen to be a new mother. Being pregnant and becoming a new mother certainly comes with its share of changes and possible difficulties. A common problem that many women experience during pregnancy is back or neck pain that results from carrying around the extra body weight. This pain usually subsides within a few weeks after the baby has been born, but it can often return as a result of repetitive lifting and carrying your infant around. Although this may not be much weight in the first few months, it’s an action that’s performed on a regular basis, and eventually your baby will grow and place even more added weight on your spine. Over time, this repetitive stress on the body can go on to cause spinal pain. As a mother, it’s your natural tendency to put your children first and ensure that they are taken care of. At Physical Therapy Doctors of Florida, it’s time to let us help you with any concerns with women’s health in Bradenton, FL you may have and return the favor. Contact us at 941-264-1414 to schedule an appointment, or click here for some additional stretches.